This sleek dress heel is handcrafted with stretch fabric for a snug and comfortable fit. Soft premium leather lining hugs the foot and added depth offers extra toe room. A removable footbed cushions each step while a leather sole with a rubber insert provides a natural cushion and extra grip. Handcrafted in Tuscany, Italy. Designed to fit and follow the shape of your foot. SAS TriPad® comfort cushions give all-day comfort. SAS Elegant Fit Last™ offers heel grip and toe room with an extremely soft microfiber upper and full leather lining, providing fit and comfort in a pump. SAS Elegant Fit Last™: High-quality stretch microfiber upper combined with soft, comfortable leather lining and crafted on a special last designed by SAS to fit and hug the foot while providing comfort and toe room. 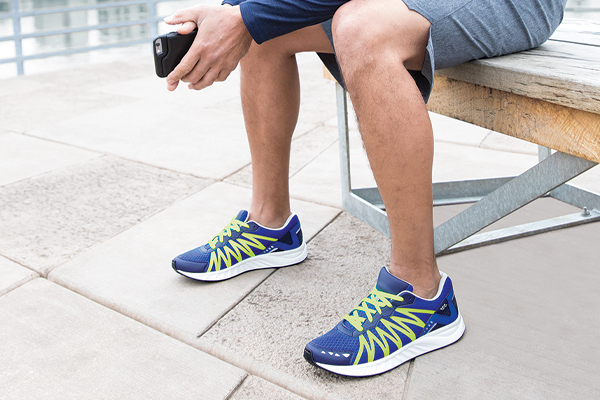 SAS TriPad® Comfort: Our odor resistant tripad material cushions the three pressure points of your foot; the inside ball, outside ball, and the heel. This material never loses its shock-absorbing capacity. Leather-Covered SAS Contoured Footbed: The removable SAS Contoured Footbed is made of molded polyurethane and designed to fit as well as support the contours of your foot while cushioning each step. Extended Supportive Heel Counter: The heel counter extends under the arch and is comfortably padded to gently hug the heel.